Have already had a couple of posts and some help from quite a number of 986 members. But I guess it is time to present my 986. A 2003 S - seal grey with black all leather interior. 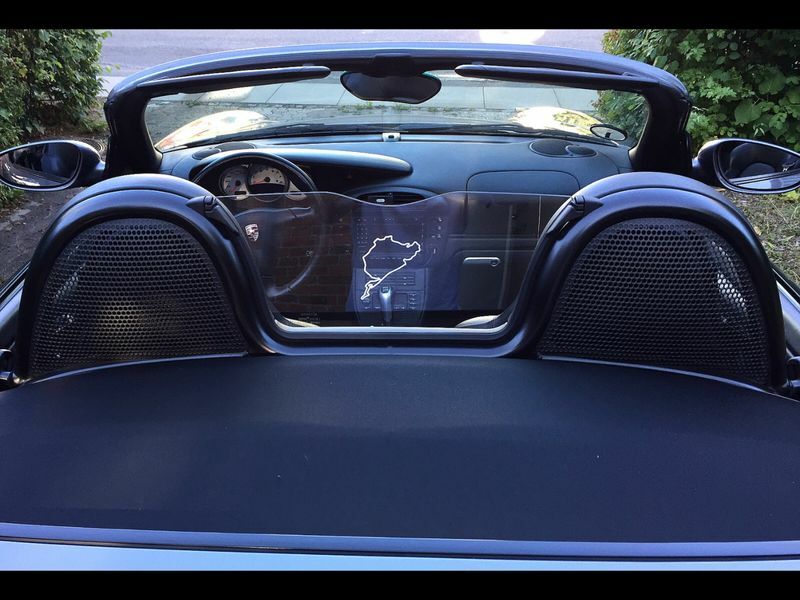 Seats are the sports type with the Porsche logo. 6 gear manual needless to say. The options list under the bonnet is the longest I have ever seen. I bought the car about 5 years ago. The car now have about 185.000 km on the dial - that is about 115.000 miles. For its mileage it is looking rather good I think. I have done 46.000 miles since I bought it. The first four years I used it all year round - meaning I had an extra set of wheels. Now I have sold the winter tyres and mounted Federal 595 RS-R on the 18" Carrera rims (resprayed last year). They are on at the moment as I go to a track day tomorrow. 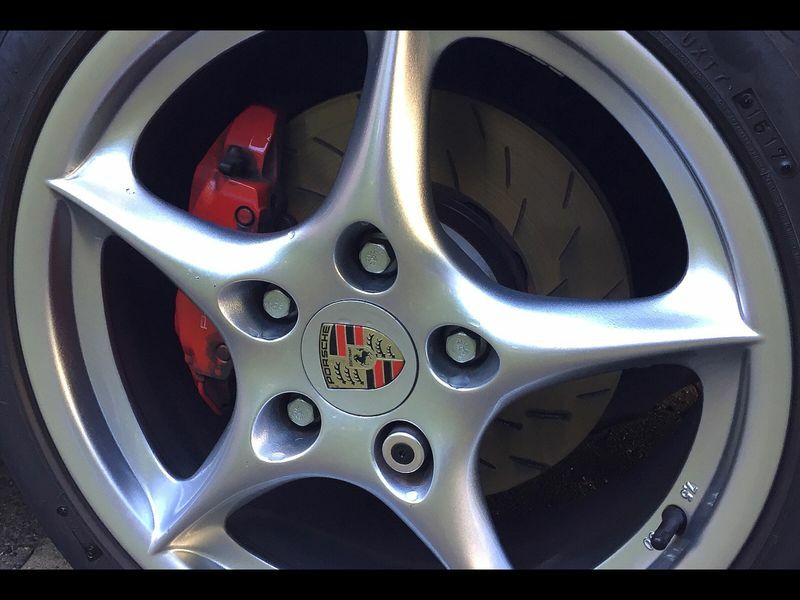 I do also have a set of 996 GT3 Mk1 rims with Michelin PS2. My brakes were totally done last year so I have now got mounted a mix of PFC (front) and Girodisc (rear) rotors and PFC pads. At that time I also put on HR spacers - 18mm front and rear - looks great. I love my Porsche and it puts a smile on my face every time I am out driving. And yes - I went to Nurburgring a couple of years ago - great experience - need to go back. In brief - that´s me! Very nice looking car! I had a chance to go on the Ring about 12 years ago as a passenger in a 993T, but I got to cold and had to drive my other friends 944 home. Such a pity, but we had a great down drag racing in Bitburg at the old Air Base. Very nice car. 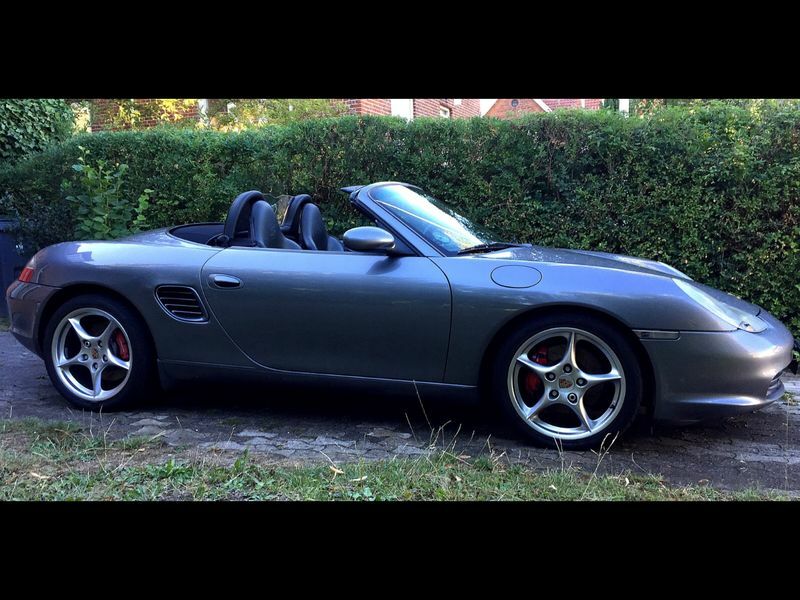 The 2003 S with the Carrera wheels is the best looking Boxster as far as I am concerned. But I am a little biased since I have one myself! Velkommen! 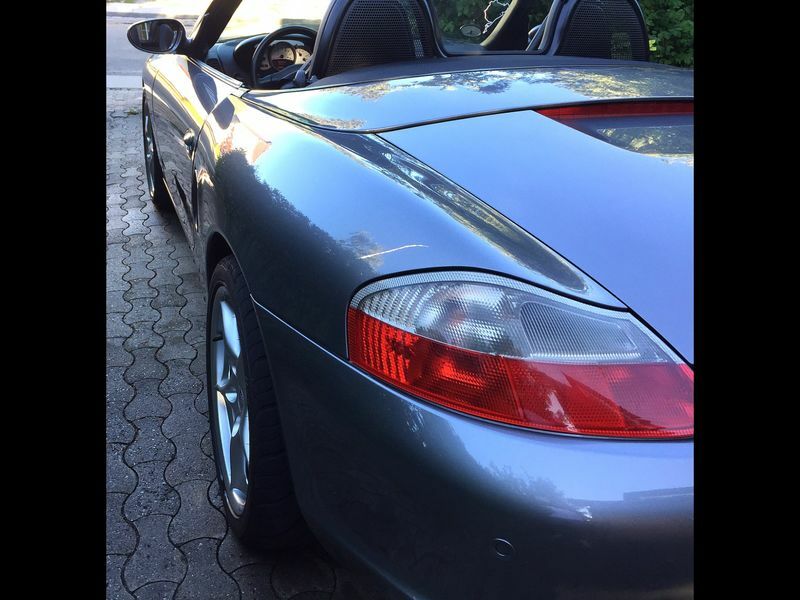 Det er godt at se en anden dansker med en Boxster. Især en der bor i Danmark. Det er kedeligt at der ikke er så meget motorsport i Danmak som her i USA. Her kan vi køre autocross eller banekørsel hver weekend hvis vi har lyst og råd. It and they certainly are good - and so clean. Der er faktisk mange trackdays i Københavnsområdet. Men man skal over broen. Sturup og Knudstorp har mange muligheder. Men det koster måske mere end hos dig?! Specielt Knudstorp kan varmt anbefales hvis du en gang er på besøg! Hilsen fra nordmand bosat i København! The Ring is certainly something else. I will be very interested to hear of your experience with the FVD Sound muffler. I find it almost too loud. Got me worried now, I want louder deeper but not over the top. As long as under 3K it stats near stock or so, I think I should be good. Do you have to pass TUV inspection? I would say from 3k and at full throttle it is very loud. 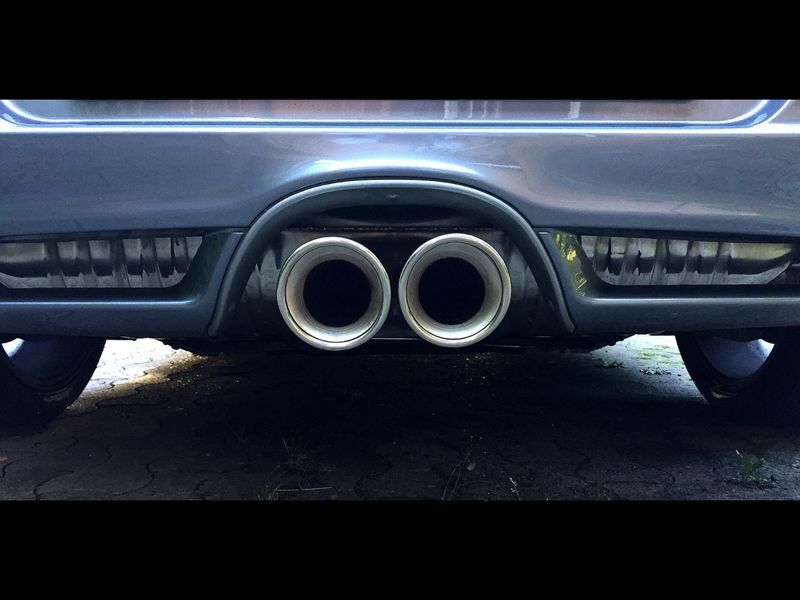 I have driven 996 with the sports exhaust and it is not far from it soundwise but there you can turn it off! Less of an issue on open roads than in town though! I can see how that might be too loud, fortunately fir me I drive mostly on open roads. When my wife is with me I have to drive really reserved, she gets scared to easy. The wife thing - totally agreed!